When you venture out into the Australian wilds on that dream holiday away from civilization and all the noisy, overbearing trappings of the modern world it is important to have confidence in the equipment you have brought, and know that it will hold up regardless of what extreme conditions you might encounter. 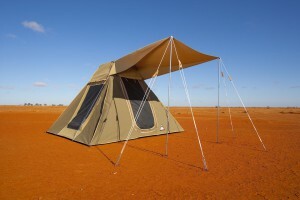 Here at SouthernCrossCanvas.com.au, you will find large canvas camping tents for sale as well as a variety of shapes, sizes and styles that are were designed specifically to withstand the harshest of Australian conditions and last you a lifetime. While high-quality products are built to last, unless they receive appropriate care they may lose their lustre sooner than intended. All good campers know that caring for their equipment is key to ensuring that their investment lasts them a long time and safeguards against unexpected surprises that could ruin a holiday. When it comes to canvas all of the above holds true. So, if you have just acquired a brand new canvas tent from Southern Cross Canvas, there are a few things to keep in mind that will allow you to lay claim to an investment that served you for over 30 years, as some of our previous customers have. 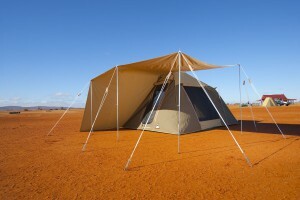 At Southern Cross Canvas, we are experts when it comes to all things camping. All of our knowledge was earned from our own personal experiences camping and adventuring throughout the country and beyond, and we have implemented this learning when creating canvas solutions that are simultaneously durable and of the highest manufacturing quality. This dedication to the craft has made our large canvas tents for camping renowned and marked us out as specialists that can cater our service to the needs of campers and adventurers everywhere. At Southern Cross Canvas, we look forward to sharing in the excitement as you prepare for your trip and doing our part to ensure that where your tent is concerned, we’ve got you covered. Available is a range of Ultimate Awnings in which Southern Cross Canvas manufacture, that suit the range of Ultimate Tents in their range. 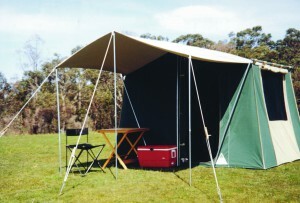 The awnings are all manufactured using 8 oz Australian made canvas. Extra Large Awning Complete Size – 5500 mm x 3500 mm Includes all pegs,poles and guy ropes. This simply zips onto the zip that is located on the roof of the Ultimate tents over the door area. 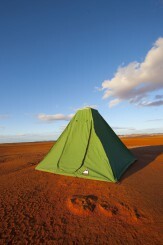 It has two velcro support tabs that secure to the storm loops, also located on the roof of the tent. The Extra Large Awning is a very versatile awning in which it can be erected to suit the majority of weather conditions that you are likely to encounter. 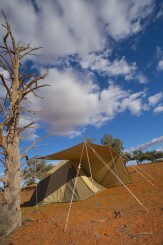 It is the same as the Large awning, except that it comes out an additional 800mm away from the tent. 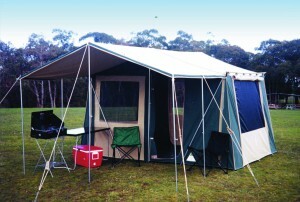 Large Awning Complete Size – 5500 mm x 2700 mm The awning is manufactured using 8 oz Australian made canvas. Includes pegs,poles and guy ropes. This simply zips onto the zip that is located on the roof of the Ultimate tents over the door area. 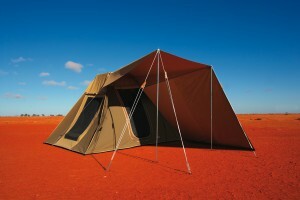 It has two velcro support tabs that secure to the storm loops, also located on the roof of the tent. Small Awning Complete Size – 2240 mm x 1800 mm Includes all pegs,poles and guy ropes.